These amazingly chunky mittens (over a quarter-inch thick) measure approximately 9 inches long by 4 inches wide. The are made from super-thick yarn that is 20% wool and 80% acrylic. 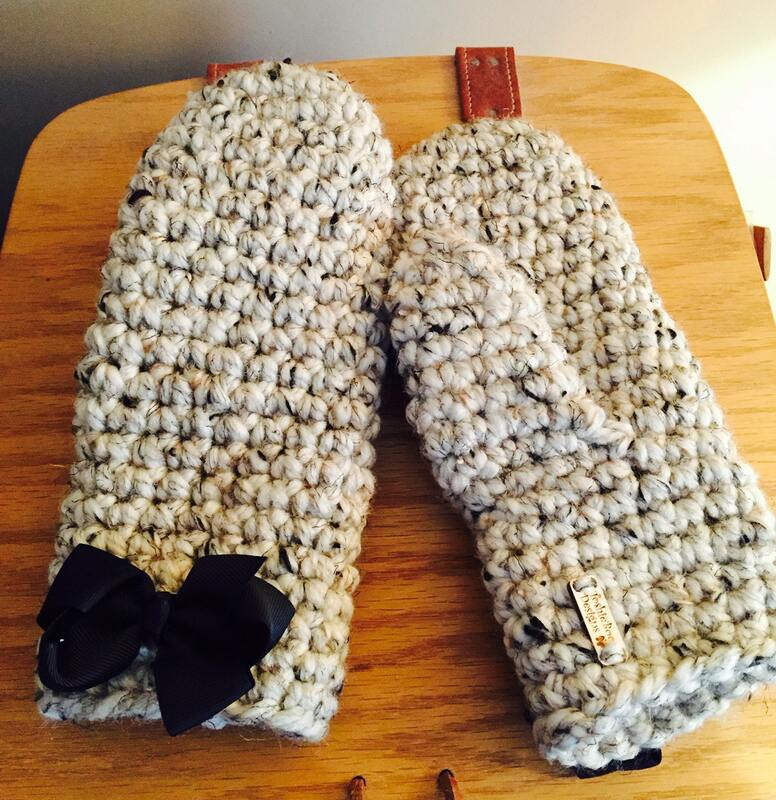 The mittens are full of texture and style, and have 3 inch grosgrain bows on alligator clips at the wrists. These clips can be removed, especially for laundering. These are simply the best crocheted full mittens I have made and will certainly keep your hands and fingers warm. Love them! Although these are made for adults, I can make them in smaller sizes. Just convo me if you are interested.